What would you do if you were a scrappy, poor orphan who was mistaken for a rich orphan who had all the resources in the world? For Jule, there's no question about taking advantage of her good luck. The question you should probably be asking is this: Was it good luck or manipulation that gave Jule a taste of the good life? The minibar in Jule's room stocked potato chips and four different chocolate bars. The bathtub had bubble jets. There was an endless supply of fat towels and liquid gardenia soap. In the lobby, an elderly gentleman played Gershwin on a grand piano at four each afternoon. You could get hot clay skin treatments, if you didn't mind strangers touching you. Jule's skin smelled like chlorine all day. Circumstances: Two orphans, two very different lives, one friendship. Jule, willing to do what it takes to escape her lowly background and hide her insecurities, becomes a master of disguises and accents. Imogene, an heiress, is taking time off from college, supposedly living carefree on a journey of self-discovery. Who are these women and whose is telling the truth? What makes this novel different: The novel starts with the final chapter, and the story, which takes place across the globe and over about a year, is told in reverse. The plot is, in fact, unraveled rather than knitted. 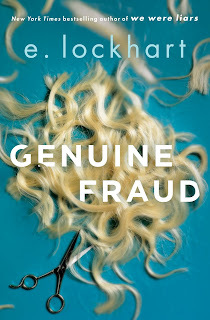 Jule's and Immie's lives are twisted and tangled together, and it's difficult to tell which young woman is in control. 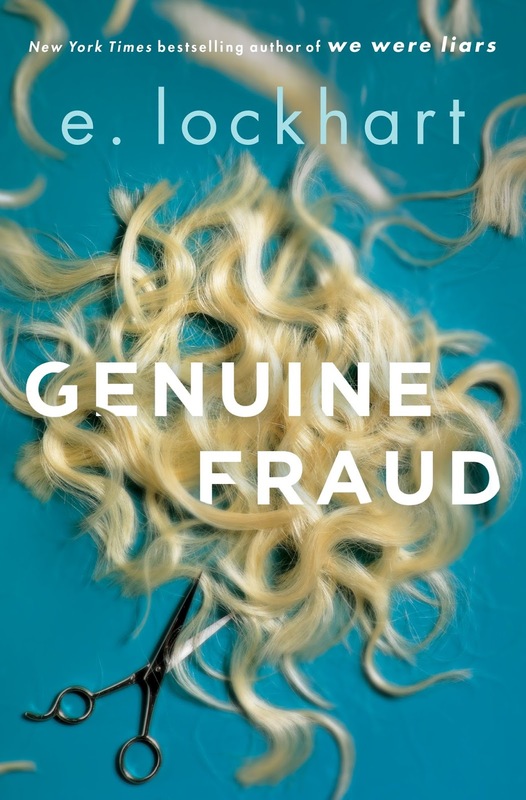 Reviews: Genuine Fraud has earned several starred reviews. Kirkus says: "This thriller . 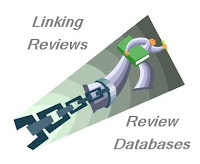 . . will challenge preconceptions about identity and keep readers guessing." Publisher's Weekly notes that the novel "will keep readers on their toes, never entirely sure of what these girls are responsible for or capable of." School Library Journal recommends the book "for teens and adults who love twisty mysteries, stories about class conflict, and tough-as-nails teen girls"
Why I want to read it: I'm intrigued by a thriller that is told in reverse and I've read nothing but praise for the book. I hope to read it this week. Extras: Author E. Lockhart talked to B&N about some of her favorite books starring difficult women and to Bookish about antiheroes and action movies. I want to read this book right now, sounds intriguing. I like a thriller. Oooh - interesting premise! I love books that start reveal the big plot point right up front and then the whole book is about the how/why, so this might appeal to me. This is on my TBR list; love that intro as well. sounds like its my kinda read, thanks! What a fascinating way to tell a story. This sound like it could be really good. I'm definitely interested, but just a little leery of a story told backwards because i disliked that so much in All the Missing Girls. I'll look forward to hearing what you think! I picked this one up from the library the other day and am eager to read it. Enjoy! I didn't love We Were Liars the way everyone else did so I'm a little hesitant to pick this up even with its great reviews. I like thrillers and especially one with a plot that unravels rather than knits. I have this one reclining on Pippa, my Kindle...I must bring it forward and start reading soon! I've stayed at the Playa Grande. It's not a hotel. Nor is it white. I like the novelty of starting with the last chapter. This interests me. This sounds really good, and I love that it's written backwards! This sounds like a good one. Another one to add to my wishlist. As soon as I saw the cover, I thought of when I cut the hair off my Barbie dolls. LOL I hope this is a good one for you. I'm leaning towards reading this one too, I like the twisty sound of it and also that it's told in reverse. Should be fun. On my pile sounds intriguing .